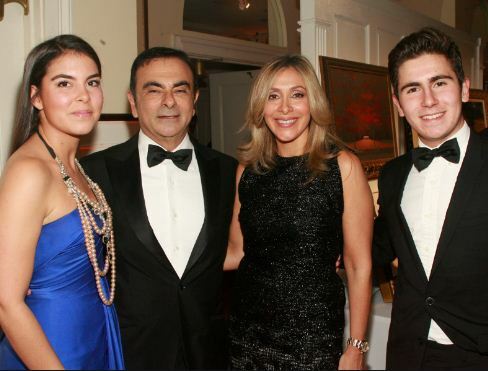 Carole Ghosn is the current wife of Nissan’s CEO, Carlos Ghosn –currently under fire for alleged misconduct. Carole’s husband is well known as the chairman of Nissan, in addition, he is also chairman and chief executive of Renault and chairman of Mitsubishi Motors. 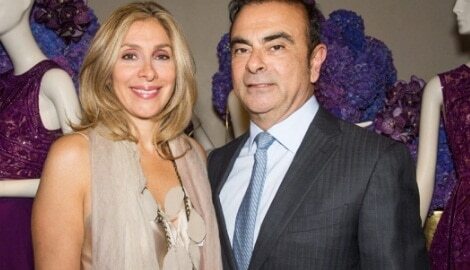 Born in Brazil on March 9, 1954; Carlos received a degree in engineering from the Ecole Polytechnique and of Ecole des Mines in Paris. 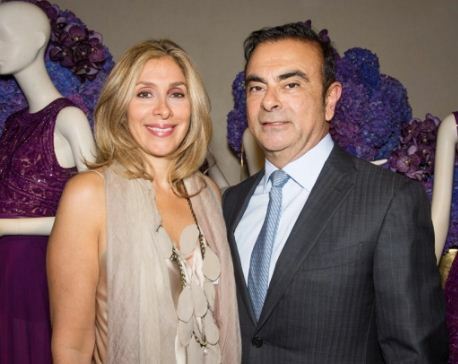 Prior to Nissan, he worked for the European tire maker Michelin & Cie. 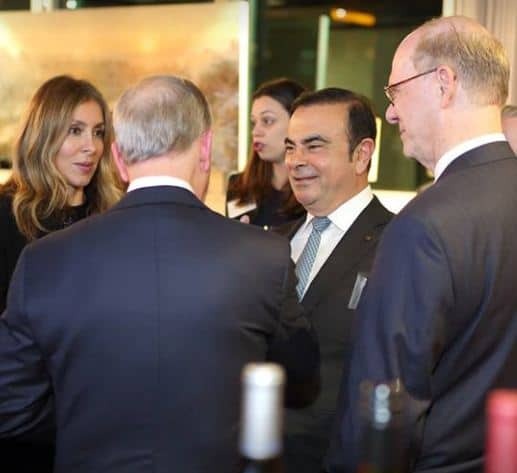 He became Chief Operating Officer of Michelin’s South American activities based in Brazil before being appointed Chairman and Chief Executive Officer of Michelin North America in 1989. 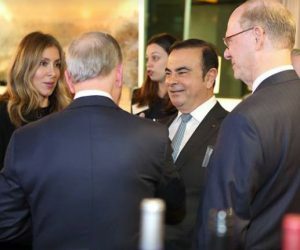 He joined Renault as Executive Vice President in 1996; and Nissan Motor as Chief Operating Officer in 1999 and served as CEO from June 2001 until April 2017. 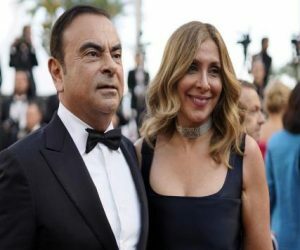 He was named CEO of Renault since May 2005, he was appointed President and CEO of Renault on May 2009, and reappointed in 2013. 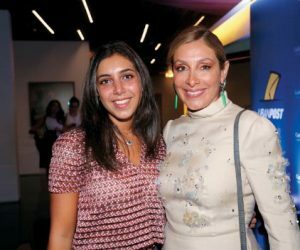 His wife, Carole Nahas, is also of Lebanese descent, but for years she’s called New York home. 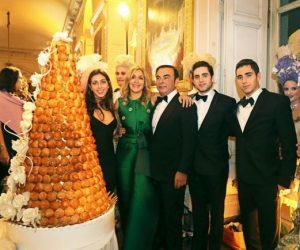 The couple who were wedded in 2016, rented out the Grand Trianon at Versailles and threw a party inspired by Sofia Coppola’s 2006 film, Marie Antoinette –to celebrate their nuptials. 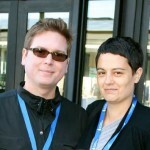 Their civil wedding, took place at the town hall of Paris’s 16th Arrondissement. Carole keeps relatively private despite being married to her famous hubby; she is however often pictured attending red carpet events with him. 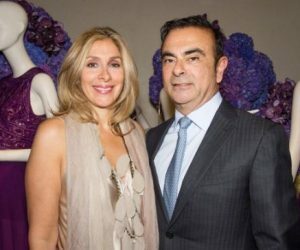 Carole Ghosn keeps an instagram page but is set to private. 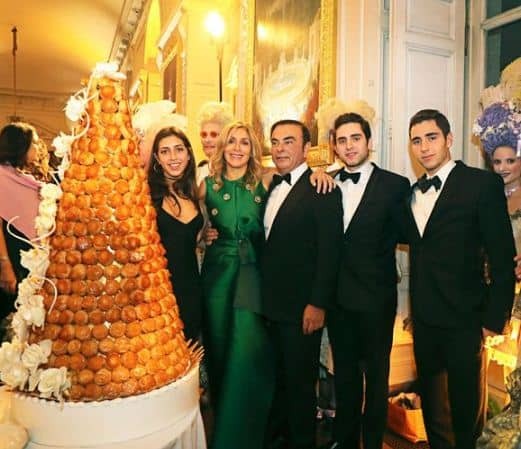 Carole turned 50 in 2016 and celebrated with a dinner at the Gran Trianon, accompanied by 120 guests and dressed in emerald green dress by Rabih Keyrouz. 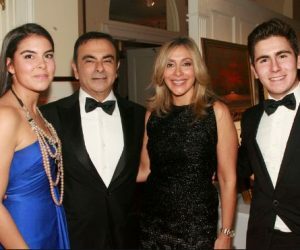 52-year-old Carole Ghosn is not to be confused for Caroline Ghosn –who is Carlos eldest daughter from his first marriage. 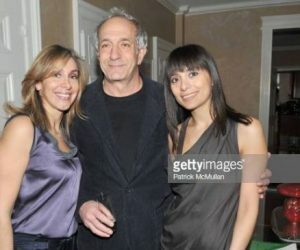 He is also father to Nadine, Maya and son, Anthony from his first wife. Carole on his part, is also mother to two adult children from a previous relationship. 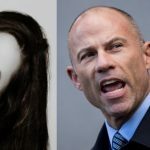 She has a daughter, Tara and a son; Daniel.